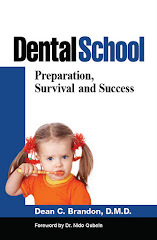 In my book, Dental School, I mentioned the trials and difficulties of the dental school experience. One thing I would like to bring out more is the relentless pursuit of "Requirements." What do I mean? 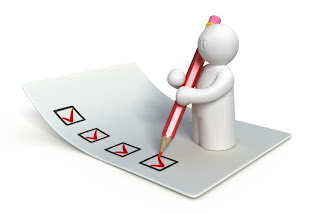 Requirements are the need number of specific procedures you must accomplish to pass or to graduate. These are things like a specific number of crowns, dentures, root canals, or two surface fillings you must complete. It always seemed in my experience and in those with whom I talk to, that it was difficult to get these done in a reasonable time frame. What if the patient you have acquired or been assigned needs three fillings, one root canal and one crown? That's great, but you need to do a periodontal surgery crown lengthening and a post and core buildup prior to the crown. Moreover, the only thing you really need as far as requirements is the crown. In some schools you have to get all the necessary work done on the patient, much like in the real world. In some other situations, you may be able to have someone else do the root canal and surgery, then you do the crown, but that can take a while before you get it done. The thing I want to emphasize is the drive to get the requirements. It's not always easy. Some schools are having a more difficult time getting patients as more and more are treated by private practitioners. I know some pediatric residents that do only one or two premed (sedation) cases prior to graduation. In practice I do one or two sedation cases a day. Experience is an important part of developing and perfecting a skill. The more you do the more you know how to deal with the little variations in each case. Requirements are just the way schools have of making sure a dental student gets at least some basic minimal experience before awarding a degree. Labels: Dental School, Fillings Crowns etc. If all goes well, I should be done by the end of April or early May. We're just trying to figure out where we want to go... We're stuck between the DC area and the Boston/NH area! YAY! This works! o.k. so I have a two year old son, that has only developed four actual baby teeth, and one bone fragment that is not even a tooth. Both second premolars on the bottom, and his two top Central incisor's. Also this bone fragment in place where his lower right lateral incisor would be. I had taken him to a pediatric specialist, only for them to say they have never seen anything like it. They did x-rays, and told me that they don't see any teeth other than what he as "at all". Do you know anything about something like this? Have you seen it? I was told that he would need to have genetic screenings done, before proceeding with dental work. However, I haven't even gotten any insight, or a possible scenario as to what this may be. I was asked if he sweats, or burns easily in the sun, but he is completely normal when it comes to those things. What do we do in this case, how are his teeth handled, well his lack of teeth. I am seeking you out b/c you have some pretty amazing credentials, and everyone here in Missouri is at a loss. I just only wish I lived in Alabama. I hope that you can give me some peace of mind, since I have spent the last three months worrying about the worst. Thanks again for at least getting back to me. Well, of course, I cannot diagnose over the Internet. I can add general comments, but I would tend to agree they are correct to suggest genetic screenings to rule out unforeseen things or to get a better idea if there is a background reason. I think the reason they would ask those questions (sweating etc) is that they are thinking Ectodermal Dysplasia. That's what came to my mind too. This is something that can cause a reduced number of teeth. In fact, I have seen a child with only one permanent tooth--that was it--no baby teeth and no other permanent teeth. Thing is, that syndrome can have varying degrees of severity, from severe like that, to very mild unnoticeable symptoms. There are many things it could be, but if what they say is correct--no permanent teeth, than I would certainly investigate further. I am surprised they got x-rays on a two year old! Good luck. 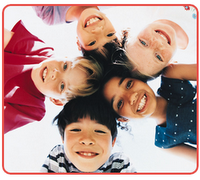 Children needing orthodontic braces for crooked and/or crowded teeth, is it a common problem you find? I get lot of information through this blog keep more posting and its very useful to people it‘s very good idea thank you.